The main topic in 2018 for 2. Art Safiental and the Alps Art Academy is: HORIZONTAL – VERTICAL. Johannes M. Hedinger has been the curator and artistic director of the project since 2016. 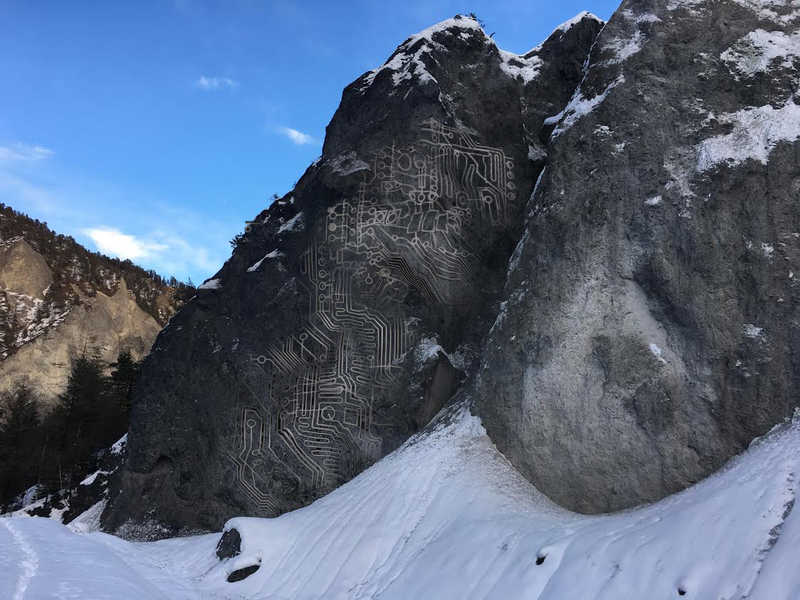 The temporary Land and Environmental Art artworks and projects are scattered throughout the Safien Valley from Versam, at the entrance of the valley, to Tenna and Safien in the middle of the valley and Thalkirch and Turrahus, at the end of the valley. The Pension Alpenblick in Tenna serves as an information centre for the exhibition as well as housing a small library on the subject of Land and Environmental art and the participating artists. Here and at Safiental Tourism information points, as well as in the village shops and inns, an art hiking map which details the exact locations of the works of art and background information about the exhibition, its themes and geographical location can be obtained free of charge.